What is the Starfish retrospective exercise? 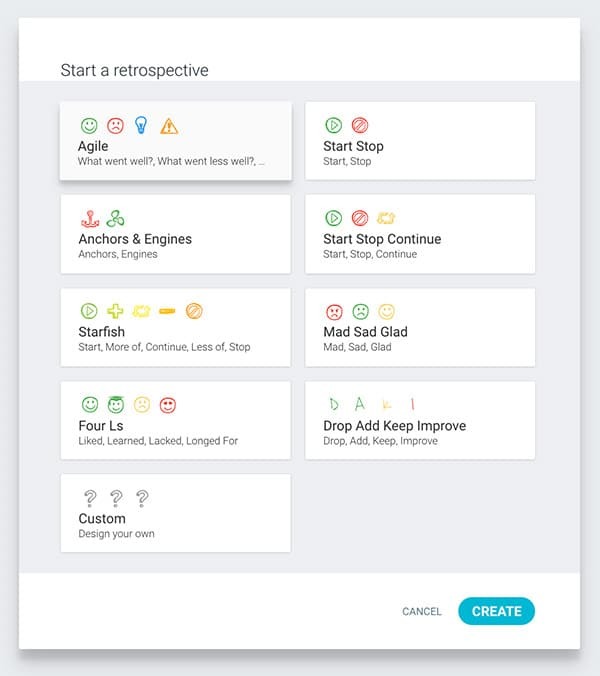 The Starfish retrospective is a technique developed by Patrick Kua to help teams reflect on varying degrees of actions and activities rather than simply the traditional what went well or what did not go well. 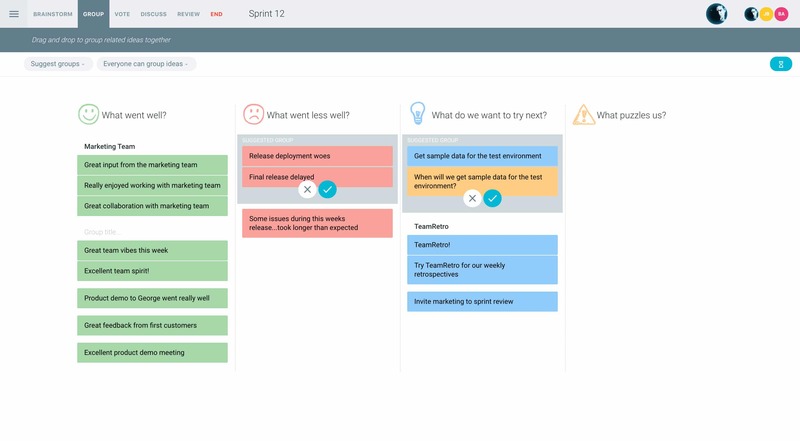 So rather than just listing down what happened, this asks the team to be more specific and to foster thinking about practices that are generating value. It helps the team members understand how each other person perceives the values of such perspectives. The goal of the Starfish exercise more about getting people to look at current practices and which ones should have more or less energy directed at them. The activities considered must of course be directly related to the project at hand. This exercise was an extension of the traditional agile retrospective method. It is best run after a few retrospectives have occurred and there has been some period of activity for the team to reflect on. The starfish retrospective is divided into the following sections. It is generally recommended that you ask the team to follow this order of brainstorming in order to keep team spirits high, allow issues to surface and then end with positive affirmative action. Keep Doing – These are things that energize the team, is adding value and something the team is doing well and you recognize the value on it. What are the good things in your project or what will people miss if it isn’t there? Less Of – These are practices that are already being done but might need refining because it is not currently helpful or productive in the current situation. This could be as simple as a behaviour, an activity or a routine that is not efficient or value adding in its current form. More Of – These might be practices, technologies or activities that team members think there should be more of or is not currently being taken full advantage of. This might be additional paired programming or running more short sharp meetings. Stop Doing – These are things that are not bringing value, or even worse, getting in the way. It’s time for these to go. Start Doing – a new idea, or something you have seen working before that you would like to bring to the table. It might be something simple or just to keep things dynamic and fun. 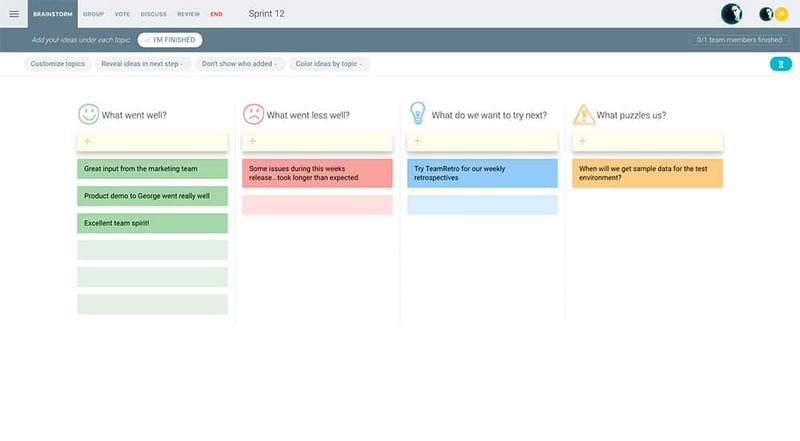 While the ideal scenario is to do each topic one by one, you can also open it up so that people can add ideas under any of the sections when they are ready. You can then discuss them in the above order. 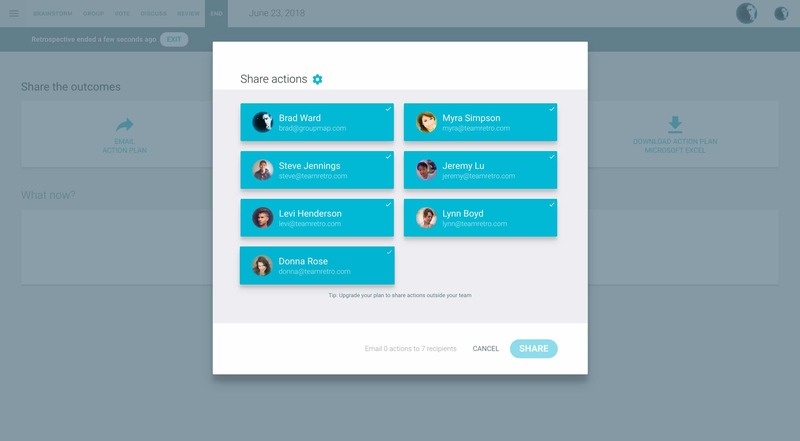 Log into TeamRetro and choose the Starfish Retrospective template. 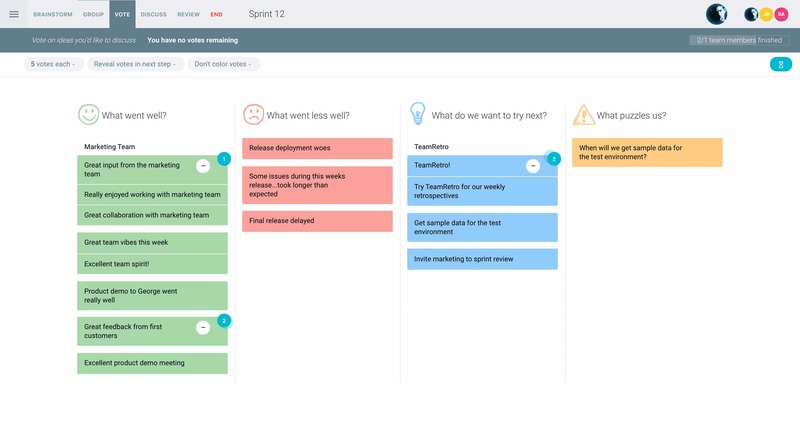 Decide if you want the team to brainstorm under each topic one at a time or if they can add any topic idea they want at any time. You can use a timer to help move people along each topic. There will likely be common ideas. 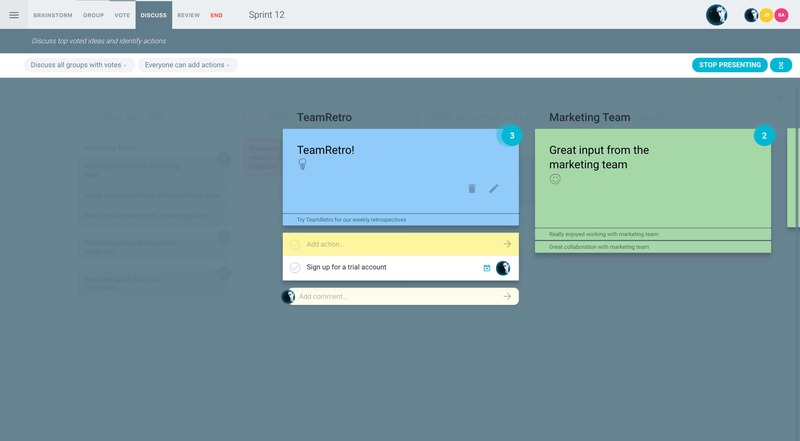 TeamRetro can also automatically suggest ideas that are similar, saving you and your team valuable time so that you can vote on a group of similar ideas. TeamRetro shows you which are the most voted action items which you can use to discuss further. Presentation mode allows you to walk your team through ideas one-by-one and keep the conversation focused. 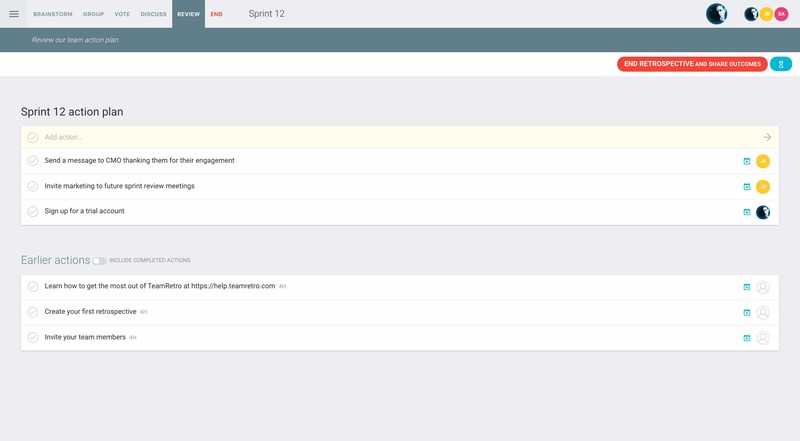 Refine and create an action list that can be shared with the team for the next sprint. 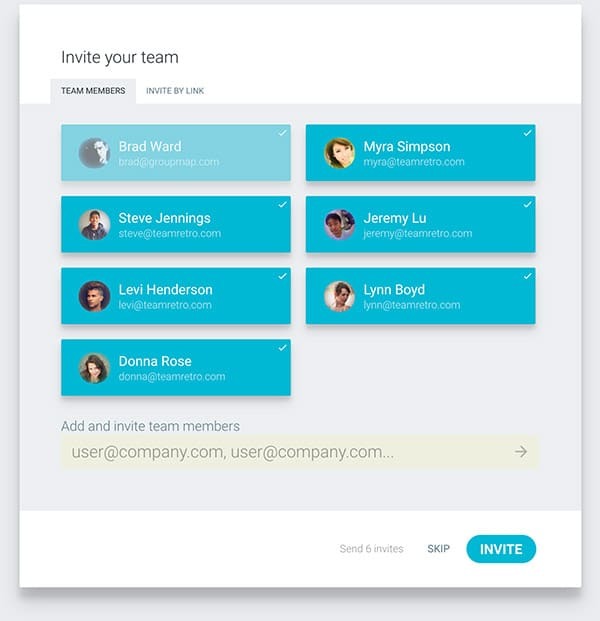 For example, if the team votes to reduce the amount of paperwork, what action needs to be taken to ensure that compliance is still maintained but paperwork is reduced. Set the stage. Let people know that the objective of the retrospective is to focus on actionable items and refining current practice and activity. There might be ideas where there are differences of perception. For example one person might decide that they want more meetings and another might want less. Using dot voting by the team will allow the team to help build consensus. It will also important to further discuss and to resolve any conflict so that a clear action item can be carried forward. Getting team buy in to the changes is important. By allowing them to brainstorm, vote and discuss is a great start. A good technique to help crystalise the change is to ask the team what would stop them from putting these changes into place. A neat way to gauge the overall health of the project is to look at the number of items under each of the topics.